What better place to catch up with friends after the summer break than at our end of season garden party? Hosted by Raymond Blanc and Laurent-Perrier's David Hesketh, join us for an evening of relaxed entertainment, delicous al fresco dining and sparkling Champagne. 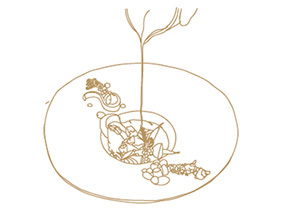 Throughout the evening, light dishes will be served from the kitchen. 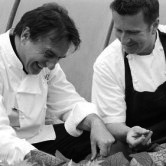 The Raymond Blanc Cookery school team will be presenting classic favourites and meet Raymond’s development chef, Adam, and discover amazing tastes from the barbeque and smokers. Dishes are matched with Laurent-Perrier Champagnes to ensure an evening of discovery from end to end. No party is complete without music and, as you relax in La Belle Époque garden and conservatory, our strolling band will play some of our best loved tunes. Includes: Informal dinner (al fresco style), 5 Champagnes from the Laurent-Perrier collection, entertainment throughout.